In my last letter, I referenced the fairy tale, the Three Little Pigs and equated a downturn to a big bad wolf at your door. 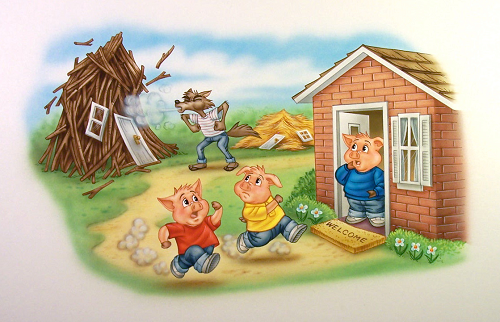 During the last two recessions, I have been the little pig in the brick house while many of my cohorts have seen their properties fall into disrepair and often times get taken back by the bank. The financial effects along with the emotional suffering can be devastating. The purpose of my splash of cold water is not to dissuade you from future investments or scare you into selling but to share a reminder that we are in a cyclical and not a secular business. Much of the preparation is mental so that you don’t get “auction fever” and lose focus on the big picture. During the go-go days of 2005-2007, many in real estate used phrases like “new paradigm” and a supply and demand problem which can’t be resolved for at least a decade. This was justification for buying properties whose cap rates were lower than the borrowing rate which is called “negative leverage.” These signs caused me to halt my buying and even do some profit taking by selling a few of my buildings. Thus far in this cycle, I’m only seeing negative leverage in A properties in A areas but am still buying when I see a deal that fits my criteria (obviously not A properties in A locations). I want to share some strategies in building the brick house during the boom times so that you prepare for your success. The goal is to continue managing on during a bust cycle and still have the ability to make purchases as that timing of the market is almost always the best time. Get ahead of your capital improvement projects while you are the most profitable. When vacancies rise and rents decrease, you won’t feel as generous so this is the time to make your property shine. Being the nicest on the block makes renting much easier. Budget out major items for the next 20 years (i.e. roof, exterior paint, pool replaster, plumbing) so you aren’t surprised. If it is time to refinance, consider a 10 year fixed rate loan. Also don’t pull out so much money to stretch your investment. If you take the loan to an LTV (loan to value) of 80% and values dip 25%, you will be underwater. That would make refinancing very difficult should your loan came due. I am in the process of refinancing and will stay at or below 55% of current LTV which I believe to be very conservative. On purchases, consider coming in with a bigger down payment to keep the loan level manageable. When underwriting these purchases, run a stress test scenario where you have a drop in occupancy to 90%, a 5% decline in rents and 5% higher utility expenses. Can your property survive? The longer the boom cycle goes, the more probable the end is near. Be ready and plan for your success! You’ll be happy you did. As much as I would like to only spend time with those in the real estate industry, my circle of friends and those with whom I network spans almost every industry and includes people living around the world. In the apartment world, we are enjoying boom times almost everywhere around the globe. Rents are rising, interest rates are at or near historic lows and values are nice and high. With everything going so right, what could go wrong? As a survivor of two previous bust cycles, it is nice to sit with my team members who have been in this business for only the last few years. I regale them in stories of “staying alive in 1995” when we wondered if the glut of vacant units would someday be rented so that we could get back to single digit vacancy rates. The foundation of what we do is based on a growing economy with steady employment and rising incomes. When the downturn comes, it feels like ice melting under your feet. Fighting for each and every resident, both to keep the current ones happy but to bring in new ones. For you veterans of the industry, you’ll remember giving away televisions, cruises, months of free rent and baking Otis Spunkmeyer cookies just to get people in the door. Times I hate to remember but insist we don’t forget. In the past, things were good until they weren’t although those owners who didn’t lever up too high with debt and get out over their skis had a far better chance of surviving. What will end the boom and start the cycle the other way? In other words, what is the Black Swan event? 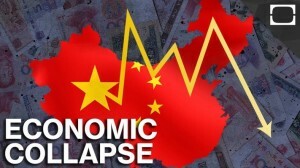 Why does the US equities lose 400 points when China has a bad day in their stock market? 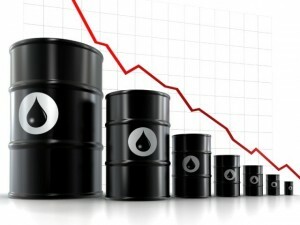 Why is cheap of extremely cheap oil bad for the US economy when it seems that far more American industries would benefit as opposed to energy companies who get crushed by it? 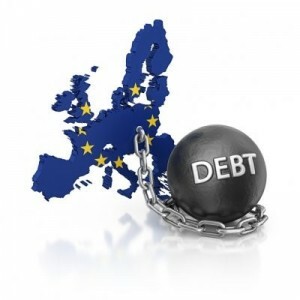 What has changed in Greece and the other PIIGS (Portugal, Ireland, Italy, Greece and Spain) who were struggling? While the media is focused on immigration in those countries, their underlying issues almost surely remain. At some point, the Black Swan will rear her unwanted head and Mother Market will turn on us. The best way to survive is to prepare for it in advance. While I hate to start the new year as the little pig (of the Three Little Pigs) who built the brick house but there is enough going on in the world right now that it seems like an opportune time to reminisce about times which weren’t so sunny. As Benjamin Franklin said, “By failing to prepare, you are preparing to fail.” In the February reporter, I will discuss things to do to get the jump on the inevitable cycle change.